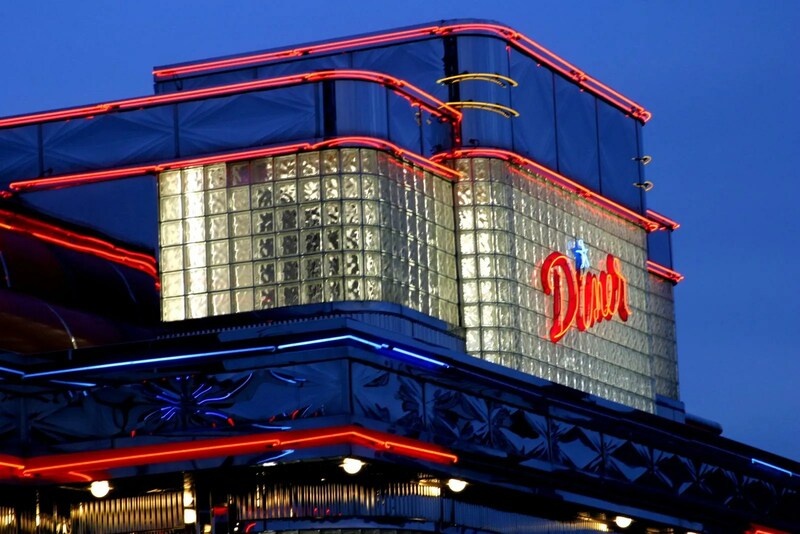 This entry was posted in Diners / roadside related, Diners/ restaurants and tagged 5th Street, architecture, diner, food, glass brick, neon, PA, Pennsylvania, reflections, restaurant, Sign, Silk City, United Diner by Spencer Stewart. Bookmark the permalink. Not a Kullman. 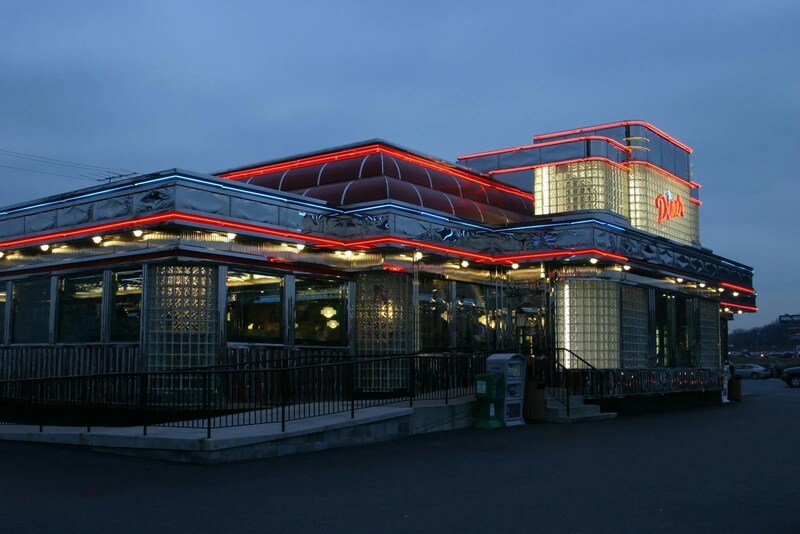 Looks like Peter’s diner, by United Diner. I was the architect for 20 years at Kullman. Not bad, but not Kullman. 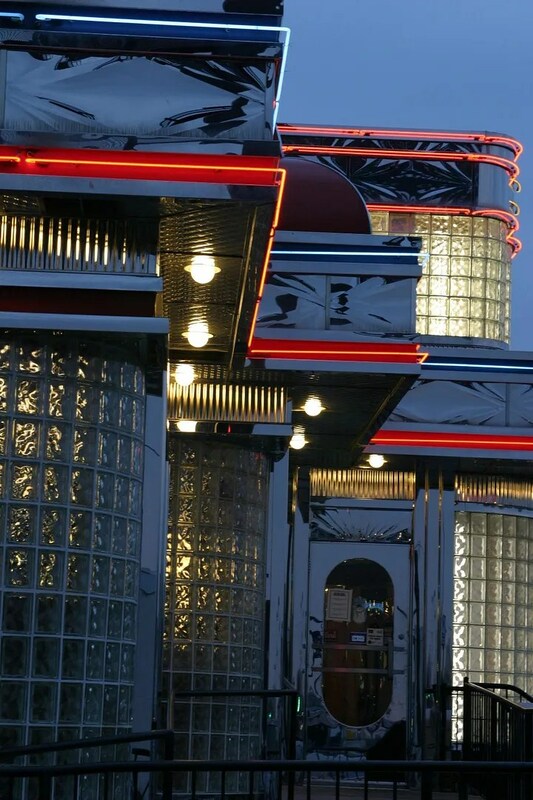 It’s the 5th Street Diner, in Temple, PA. I think you’re right about the builder.